Here’s what’s happening in the world of television for Friday, July 20 and Saturday, July 21. All times are Eastern. 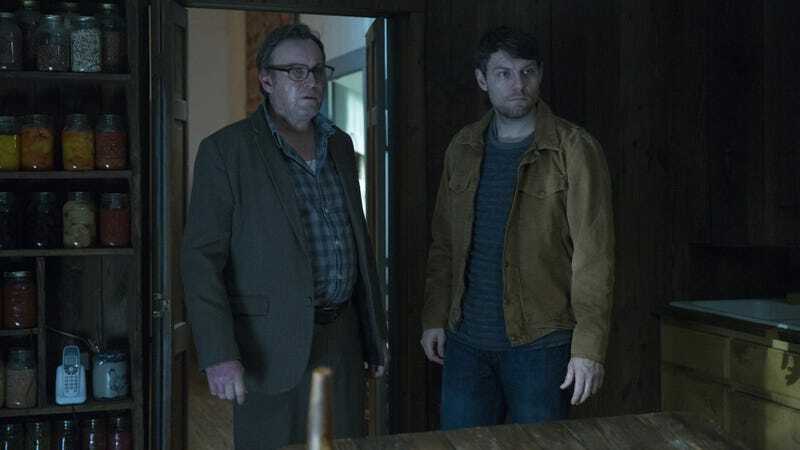 Outcast (Friday, Cinemax, 10 p.m.): The return of Robert Kirkman’s chilling tale of evil should be shouted from the rooftops; the first season was one of the best shows of 2016. Unfortunately, it’s on Cinemax, which means no one really knows about it, despite the other series from its creator being some of the most popular things on TV. Nonetheless, it’s time to give this excellent show its due. Patrick Fugit is superb as a man who has given up trying to escape the demons that have tormented him, and is now actively hunting them down. Catch up on season one if you need to, and then turn your attention to the second-season premiere. Me, Myself & I (Saturday, CBS, 8 p.m.): It’s a shame CBS didn’t give this appealing new comedy time to find its voice (or an audience, for that matter); John Larroquette was the highlight of this sitcom about one man’s life, seen in three different time periods. The network is burning off the last three episodes on Saturday night starting at 8 p.m., so why not say a proper goodbye?